Mark Ella is a well-decorated great of Australian Rugby Union. Mark’s first representative honour came in 1997 as a member of an Australian Rugby Schoolboy team that toured the United Kingdon, Holland, France and Japan. Mark played for Australia on 25 occasions between 1980 and 1984, captaining the team during the 1982/83 season. Mark scored a try in each of the four Test matches during the historic Grand Slam Tour of Britain. Between 1978 and 1984, Mark played in six premierships with the Randwick Rugby Club. Between 1979 and 1984 he played in the Australian Sevens Team, winning three championships. He would later coach the team to a bronze medal at the 1998 Commonwealth Games in Kuala Lumpur. Mark received a number of recognitions and honours during, and in recognition of, his 13-year career. 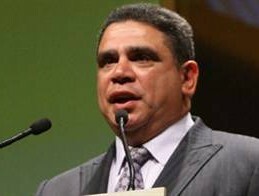 He was the 1982 Young Australian of the Year, received the 1983 Order of Australia (AM), was inducted into the Australian Sports Hall of Fame, and International Rugby Hall of Fame Inaugural XV. In 1988 Mark was appointed chairman of the Aboriginal Cricket Association and managed the team on a seven-week tour of England that commemorated the Aboriginal cricket team that was the first of any Australian sporting side to tour overseas. Transitioning to business, Mark runs a communications company that services and implements marketing strategies for Bundaberg Rum. Mark is an ambassador for Street Work, an organization whose mandate is to get young lives back on track, addressing: crime, violence, destructive family relationships, rejection and isolation, learning difficulties, poor employment opportunities and substance abuse.